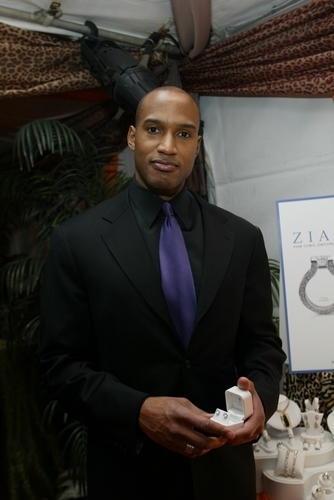 Henry Simmons, from the hit television show NYPD Blues, with a new pair of Ziamond Cubic Zirconia CZ Stud Earrings in 14k white gold. Ziamond cubic zirconia cz jewelry has been a best kept secret in celebrity circles for a very long time. Ziamond Cubic Zirconia CZ Stud Earrings are available in different shapes and sizes and set in solid 14k gold, 18k gold or platinum.